About reiimmune® Learn More About our Product here! 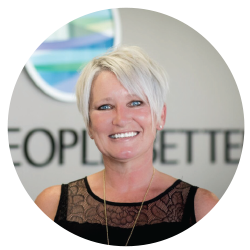 Dr. Kerri Miller developed re:iimmune and serves as CEO of Make People Better. Embedded throughout her life and career, her mission was clear – to help. American consumers are literally flooded with gimmicky and expensive variations on H2O: concoctions of sugar, artificial flavors and unsubstantiated ingredients that can themselves pose a challenge to our health. At the same time, poor hydration and insufficient intestinal microflora can endanger patient recovery and lead to hospital readmissions and poor outcomes. In low-income countries, complications arising from dehydration pose an even more grave and present danger. Dr. Miller, a Johns Hopkins and Harvard educated nurse practitioner developed a simple solution; make the water you drink more efficient during illness recovery! In her commitment to helping people everywhere, Dr. Miller created the Get Well Make Well Campaign. For every box of re:iimmune sold, 1 serving will be donated. To date, 120,000 servings have been donated to relief organizations throughout the world. For Dr. Miller, it really is about her mission to make people better! Our headquarters, located in Springfield, MO is a hub for the entrepreneurial spirit. Most importantly, we never compromise on quality and know our product works—and that led to retail partnerships with Target, Walgreens, and many more retailers.